We now specify windows from Green Building Store at every opportunity. It is good to be able to work with a supplier we can trust. Green Building Store’s customer service was really good and the GBS staff were very patient with us during the many evolutions of the project. We specified Green Building Store’s PERFORMANCE range for a number of reasons. It is an excellent product, really high quality and sturdy. We also liked Green Building Store’s focus on sustainability and performance. The price also was competitive and fitted within the project’s tight budget. 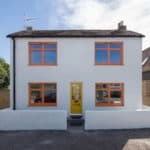 It was good that the PERFORMANCE windows are available in any RAL colour and we were pleased with the finishes on the windows. 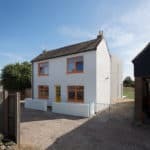 Ratliff/Landells Architects undertook a contemporary retrofit and extension project whilst maintaining the integrity and street frontage of the original 19th century cottage. 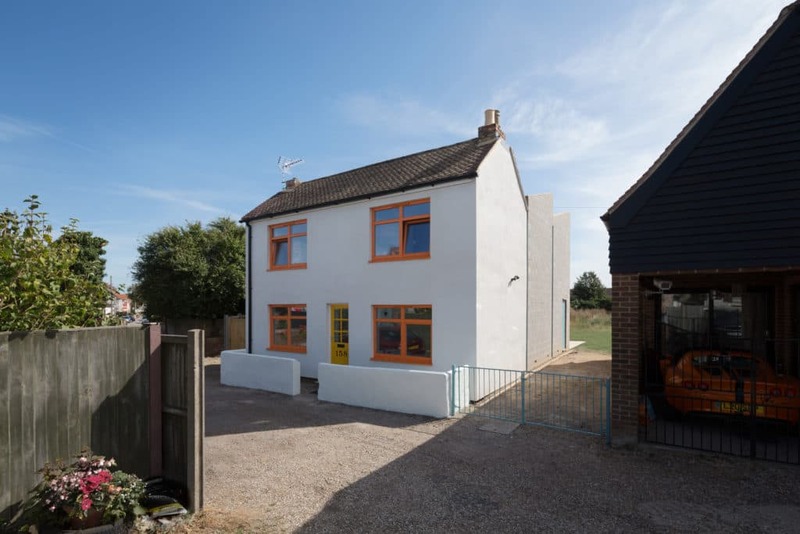 The design of the original cottage also inspired the striking roof profile and near symmetrical layout of the rear extension. Robust materials and energy conservation were important criteria for both the existing and new structures. Green Building Store’s PERFORMANCE triple glazed timber windows (U value 0.85 W/m2K) were specified for the front elevation of the building. 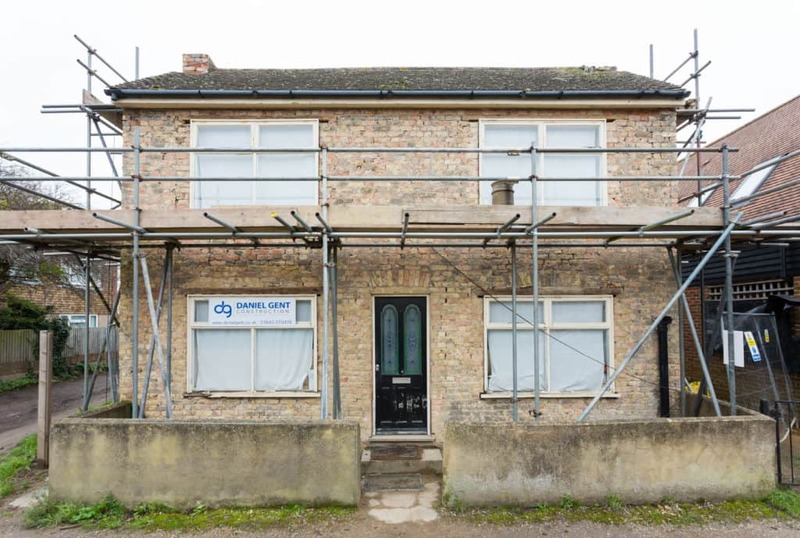 The original steel-framed windows were very inefficient and replacing the windows with high performance triple glazing was and important element of the energy efficiency strategy at the project. 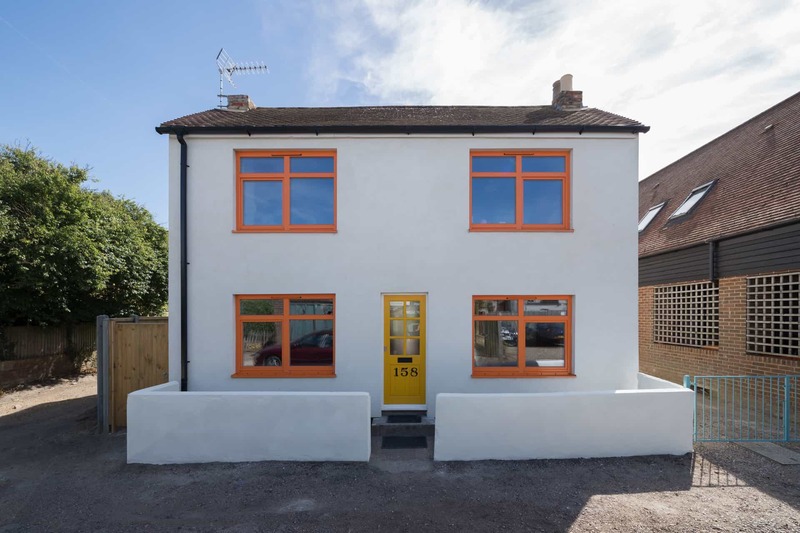 The front elevation of the cottage has Green Building Store’s PERFORMANCE inward opening windows in a vibrant ‘Pastel Orange’ (RAL 2003). 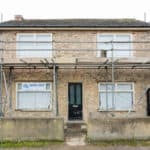 Tim concluded: “In retrospect we would maybe have specified PERFORMANCE windows for the whole building, instead of the aluminium windows we used at the rear of the project. Green Building Store’s customer service was really good and the GBS staff were very patient with us during the many evolutions of the project. We now specify windows from Green Building Store at every opportunity. It is good to be able to work with a supplier we can trust”.